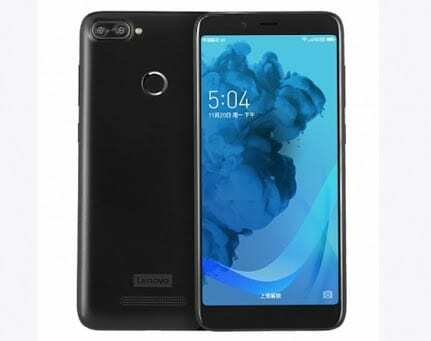 The much awaited Lenovo S5 has been announced and would officially make its debut on the 25th of March 2018. Lenovo stylishly waited for the 2018 Mobile World Congress to cool off before announcing this beauty. Nonetheless, we are still in the mobile season and we will welcome the Lenovo S5 with open hands. This sleek device dishes out a bezel-less screen, packs 4GB RAM and 64GB Storage. Would you like to know more? Stay with me. 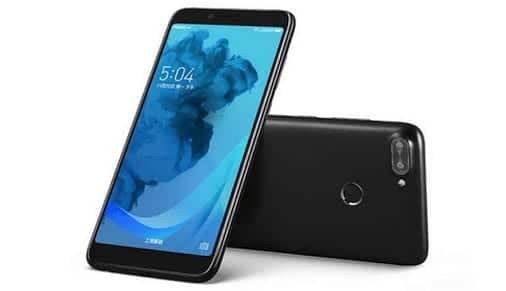 What is Lenovo S5 Price and Availability Status? Looks so plain to be honest, with a combination of Metal and Plastic to finish the body. The dual rear camera in a horizontal position at the top left is one of the highlight at the back. Beside the dual shooters is a dual-LED flash, ready to take over the night. The fingerprint scanner is at the usual position, while the Lenovo logo and loudspeaker sits at the bottom corner. Turning over to the sides, it measures about 8.4 mm in thickness and weighs less than 190g overall. It’s only available at the moment in Red and Black colors. The company didn’t go the top-notch way with this though. Nonetheless, it dishes out an 18:9 aspect ratio and giving us a Full View display, especially when in landscape mode. No navigation buttons at the bottom bezel, while the top houses the usual features. It’s also noteworthy to see how tiny the narrow bezels are and how impressive the screen is overall. Speaking of the screen, the 5.65-inch FHD+ IPS LCD capacitive touchscreen is absolutely breathtaking. Boasting of 2160 x 1080 pixels in resolution and 427.43 pixel per inch density for stunning visuals. Taking charge underneath is the Qualcomm Snapdragon 625 chip, a 64-bit CPU architecture alongside 8-cores of processor. The Octa-core processor reaches a clock speed of 2.2GHz with a 28nm process technology, which should offer a fast performance subsequently. In terms of graphics, Qualcomm Adreno 506 graphics processor is in charge and clocks at 650MHz. In terms of RAM and internal storage, there are two versions. There’s a standard version with 64GB storage and 4GB RAM, then the cheaper variant comes with 32GB storage and 4GB RAM. The RAM space on each versions however reaches a memory speed of 933MHz. You can as well upgrade both storage up to 128GB, as it runs on Android 8.0 Oreo out of the box. At the rear, there’s a dual 13MP + 13MP rear shooters that captures 4K resolution images with ease. With the Lenovo S5, be ready to take your photography prowess to another level. The camera comes with a dual-LED flash and other features, ready to take photographs with 4163 x 3122 pixels in dimension. For selfies, the 8MP selfie camera should do its job. Powering the Lenovo S5 is a 3000mAh Non-removable Li-Ion battery with fast charging technology. With the fast charging feature, it shouldn’t take more than 1.7 hours to fully charge up the battery from 0% to 100%. The Lenovo S5 will be available on Shopping stores from March 26 starting from $249 (N70,000) to $299 (N90,000). Click on the links below to view the latest Lenovo S5 price & availability. Wow! 64GB ROM, 4GB RAM. That’s absolutely awesome! Lenovo has always made the list of my best mobile devices. Though, I would have preferred a 4000mAh battery capacity. But, 3000 is still OK. This device is a beauty to behold. Brilliant review. Well done, bro.